LG GL-i292RPZL vs GL-c292RPZN. This is a really close comparison between two almost identical refrigerators. I spent hours looking at the catalogue, visiting showrooms and talking to experts to write this comparison post between these fridges. Since you have already zeroed in on these two machines, my personal recommendation would be to buy this particular Refrigerator. I have concluded this since both machines cost almost identical but the Refrigerators I linked to above uses a much better compressor and cools better compared to this one. If you would still like to read a detailed comparison, continue reading the post further. I will now begin comparing the two LG Refrigerators in question. First off, let me start off with the similarities between the two fridges. This will help people who haven’t studied the models closely. However, if you wish to directly read about the differences, you can skip this section. Both Refrigerators have a storage capacity of 260 Liters. This is ideal for a small family of 2 or 3 members. If you are looking for a smaller product, you can consider these LG 190L 5 Star Refrigerators. Both products in question are dual door refrigerators. The top door is the smaller one. This compartment is for the freezer. While the lower section comes with a larger door and is the refrigeration section. The door is equipped with a lock, hence you don’t have to worry if you have a child around. Both products have a good energy rating of 4 Stars. Even if you do get a minor power fluctuation at your home, you won’t have to worry about your new purchase. Both these machines come with an in-built stabilizer. With Smart Diagnostics, you don’t need to wait for a technician to come to your house in case your beloved fridge breaks down. With the help of your smartphone and this smart diagnostics system, you can yourself figure out what the problem is. This saves time and the LG customer support team can then help you fix the problem with easy and by taking very little time. Smart Connect: – A very useful functionality if you have frequent power cuts and have an inverter at home. This feature helps you connect your refrigerator to you Inverter and keeps your food fresh. EcoFriendly Refrigerant: Both models release less harmful gases and thereby making these products more eco-friendly as compared to other regular brands. Toughened Glass: Both these machines make use of toughened glass as shelves. This glass is highly durable, easy to clean and looks much better inside the fridge. Solar Smart: This technology enables the refrigerator to operate using solar energy. If you plan on using solar panels to power your freezer, you can reach out to the person who comes for installation or talks to the customer care. As I said earlier, there is very minimal difference between the two. Most people might not able to find them if you don’t look closely enough. But worry not, I have done the hard work on your behalf. There are two main differences between these machines. The GL-c292RPZN uses an “Inverter Liner Compressor”. This compressor works much better compared to regular compressors and provides a much more uniform cooling. This compressor is very silent and energy efficient. However, the GL-i292RPZL uses a “Smart Inverter Compressor“. This is amongst the latest compressor that LG has developed. It regulates the energy and cooling requirements of the fridge as per its needs. This reason alone should be enough for you to opt for LG GL-i292RPZL. 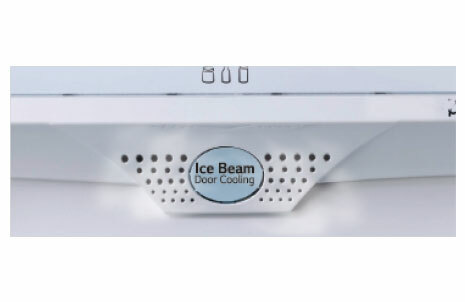 At first glance, you will think that both the products have a door cooling system. However, if you look closer, you will realize that door cooling on both refrigerators works differently. 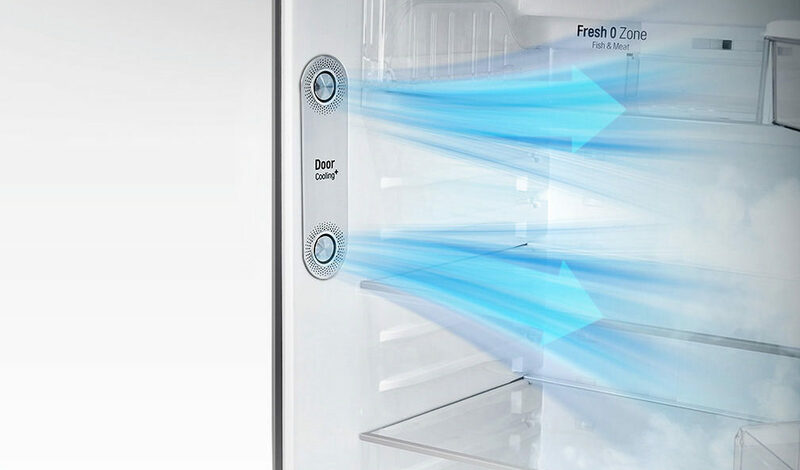 The GL-c292RPZN uses Door Cooling+ technology. This helps cool the air around the door once the fridge is closed. However, the vents are placed next to the door (Check the image below). Hence this does not help cool the insides of the fridge efficiently. 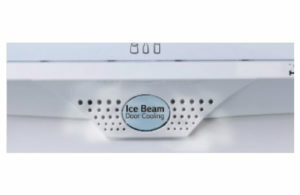 GL-i292RPZL, on the other hand, uses Ice Beam door cooling. Here the vent is placed on the door and pushes air inside the fridge. This helps cool all the corners of the refrigerator much more efficiently. This brings me to the end of my review comparing LG GL-i292RPZL vs GL-c292RPZN. I hope it has helped you select the right refrigerator for your home. Which one did you opt for? Do let me know in the comment below. You can also use that section to ask me any further questions that you may have about these two products.